Let your kid relax in style with their feet up and a refreshing drink at hand. Being a kid can be tough. You have to take twice as many steps to keep up with your parents and you feel an overwhelming need to climb, jump and roll over obstacles wherever you go. 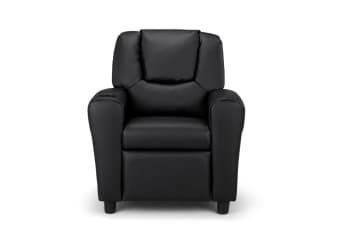 After an adventure-filled day, the Ovela Kids’ PU Leather Recliner Chair is a comfy place where kids can put their feet up and relax. 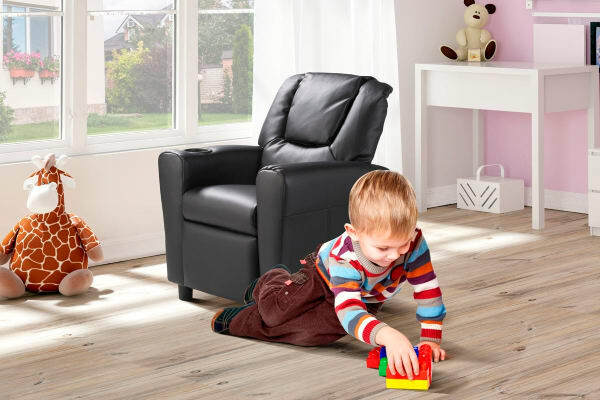 With a built-in drink holder, plush cushioning and an easy-to-clean surface, the chair is just like a grown-up recliner, only kid-sized.